This institute is one among the top engineering college in Bengaluru. This institute placed its 1st stone in the academic year 1979 and since then is affiliated to VTU. This college aims at imparting technical education combined with innovation and research to groom the young minds of the institute into quality leaders of tomorrow. This institute focuses more on team work to transform the young minds into responsible individuals. The college also enables the student’s skills with theoretical learning and practical training to succeed in their career. The cutoff criteria mentioned in the below table are based on the previous year cutoff. The cutoff for the present year might vary based on the current year score. The students to take admission will have to attain required score. The accommodation facilities at this institute are excellent with comfortable and homely environment. The hostel rooms are well maintained and the mess quality is clean and hygienic with nutritious and taste foods served. The students of this institute are provided with excellent job opportunities with very good packages. Every year more than 50+ companies visit the campus to hire students through campus recruitment. This college definitely has one of the best infrastructures I have ever come across. Another point not to be forgotten is that this college is one of the best colleges in Banglore.Faculty members are very helpful and cooperating when it comes to academics and extracurricular activities. Out of all the departments in this college mathematics faculty stands out as they have the best lecturers. Off course the course curriculum is very interesting. One of the best event that this college organizes is Vibration. Students come forward to participate in every domain that is of interest to them. Placements are extremely brilliant in this college. Annually the placements shoot up in number. Many top companies come to this college for hiring students. The campus is elegant and has every facility that a student would look forward to. The Auditoriums, AV rooms and libraries are definitely places you would not want to step out since they are beautifully designed. Faculty members move in a very friendly manner. They are very knowledgeable and help you any time you approach them. I always like roaming on roads but I never knew 1 day I would be a civil engineer. Today I would roam around roads and I am paid for it. And it all happened because of this college. College has amazing faculties, knowledgeable staffs. I would not say excellent infrastructure, but it’s a good one with all safety measures. I highly recommend this institution. Today I am working, plus enjoying my hobby of roaming. My college is one among to top engineering colleges in Bengaluru. The college has skilled faculties to nourish the students in both academics and extracurricular to enhance their career and skills. College used personality development class to enhance our skills and confidence. I have had a wonder journey at this college with my batch mates and loads of memory to treasure. Good college in Bangalore. crowd are there from all over india. Course fee structure, Cut-off rank and Placement of the Dayananda Sagar college? The Dayananda Sagar College of Engineering is offering the courses like MBA, B.E, M.Tech, M.Sc., M.C.A, MCA lateral and Ph.D. The college has been affiliated to VTU of Belgaum. The course curriculum is different for the different course and the department of the technology focus on the practical learning and research to the students. The placement in the college is approximately 100% every year and minimum aggregate would be for 60% marks they also provide the attractive packages and the companies that visit the college hire the students in bulk. The highest package offered was 15 lakhs per annum and the average package offered was of 10 lakhs per annum. On base of comed k will we get seat for btech ? What's the fee structure for architecture? & Is there internship?? 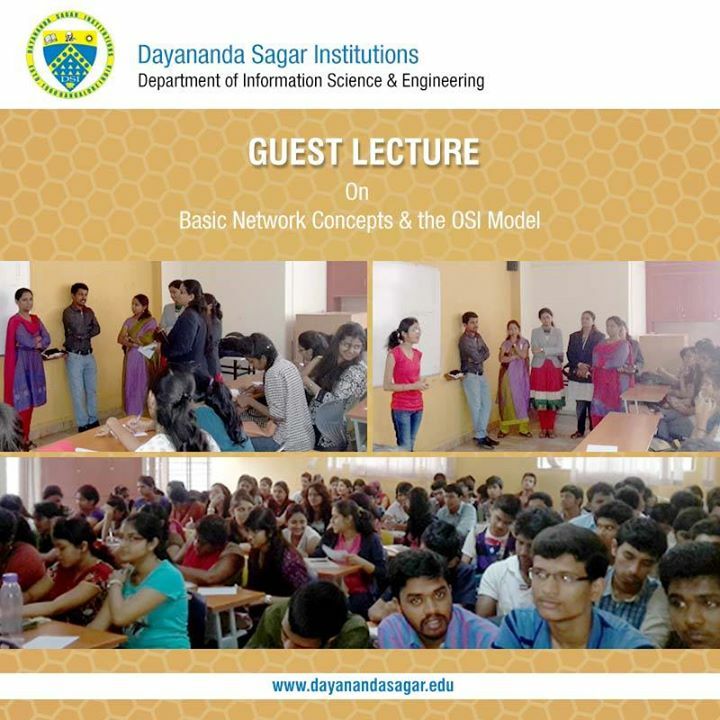 Are you Interested in " Dayananda Sagar College of Engineering"? Please provide the following details.